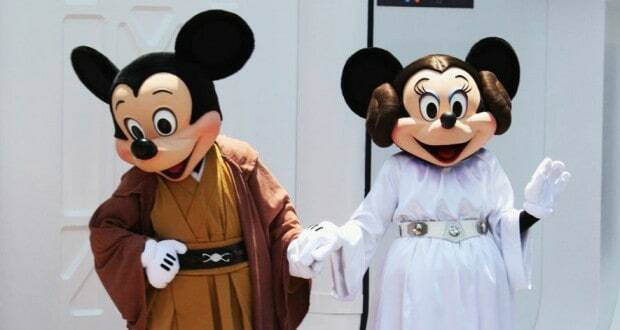 Are you excited about the increasing Star Wars presence at Disney's Hollywood Studios? I know I am, but there's no doubt that Disney fans are split on whether they feel Star Wars really belongs at Walt Disney World. You may be surprised to learn that the idea for a Star Wars land or park was first considered by Disney in a 1984 meeting about theme park development. At the time, the committee passed on the idea, not being certain that the franchise or characters had "staying power." Now, with that concern certainly being put to rest, we eagerly await the opening of what is sure to be a completely immersive land that Star Wars fans and non-fans will grow to love. You'll have to wait until 2019 for the full land to make its debut, but in the meantime, go enjoy some of these fun attractions and shows with your family and let you imagination run wild as you envision what's going on behind the construction walls and "pardon our pikie dust" signs! Let's take a look at 9 stellar Star Wars experiences you'll go galactic over on your next trip.